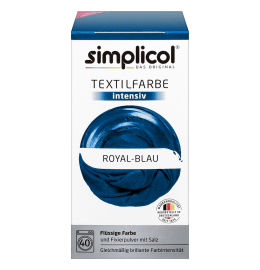 Dyeing with simplicol Fabric Dye intensive is as easy as washing laundry. Simply add the bottle with the liquid dye to the drum for an exceptionally even, intense dyeing result. Brighten up your clothing in one of the many radiant colours!